As of September 10, 2018 the City Clerk will commence preparations to administer the October 22 election under the 47-ward model. SERRA is in Ward 26. 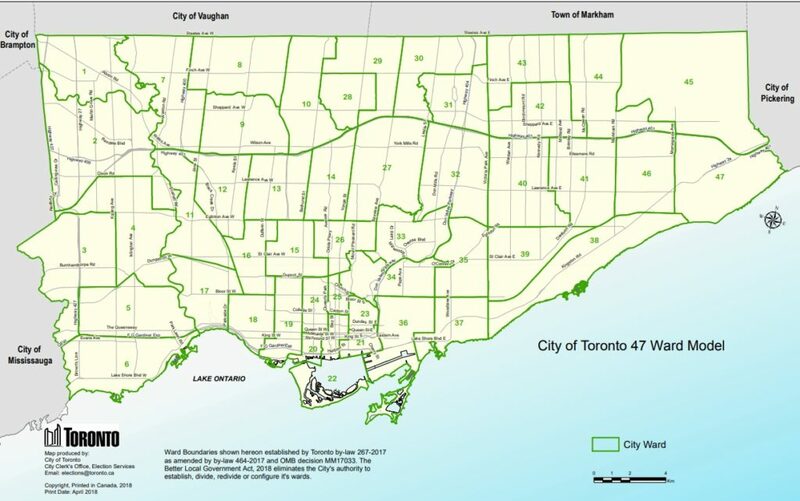 Above is a map of the TDSB ward boundaries based on the City of Toronto 47 ward model. Local TDSB schools within the SERRA area are in Ward 11. Maurice Cody Junior Public School, Hodgson Middel School, Eglinton Junior Public School, Davisville Junior Public School and Spectrum Alternative School. 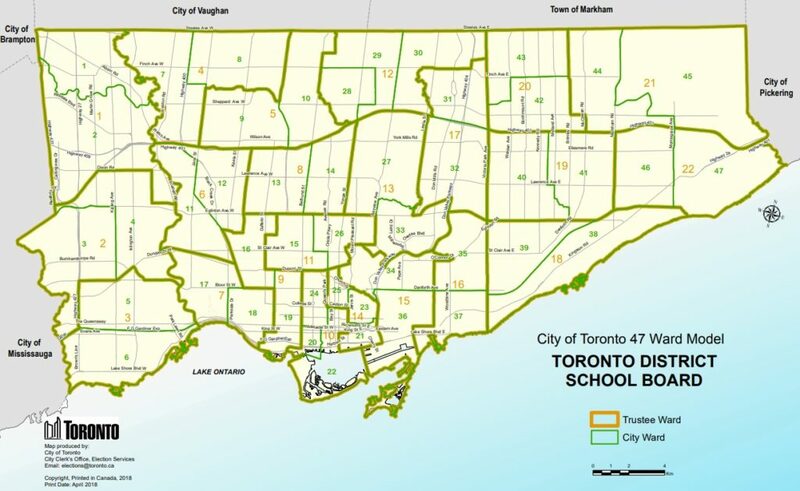 Note: North Toronto Collegiate Institute is in TDSB Ward 8 and Northern Secondary School is in TDSB Ward 13.